Welcome to Lake Erie Council's camp and facility rental system for Beaumont, Firelands, and Stigwandish! 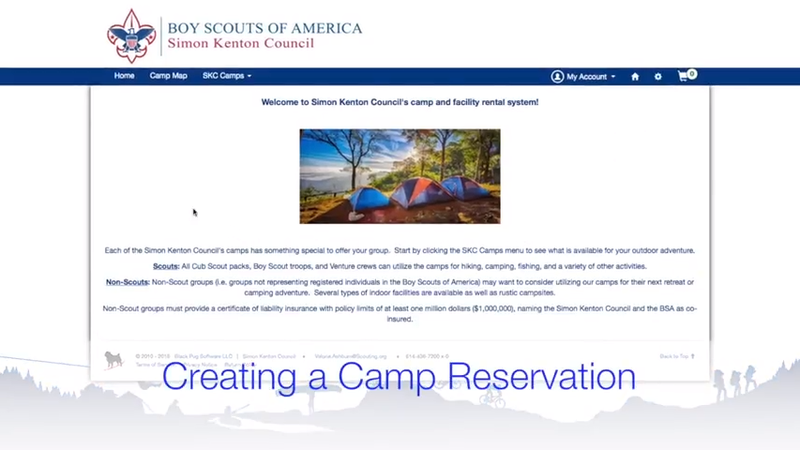 Please select a camp from the "LEC Camps" tab above to begin. Each of the Lake Erie Council's three camps has something special to offer your group. 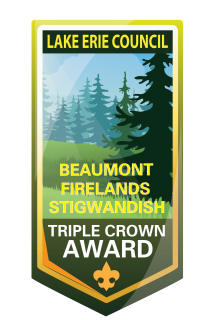 Earn the Triple Crown Award by camping at all three properties! Choose your Group Type to get started! Lake Erie Council Unit: All Cub Scout packs, Scouts BSA troops, and Venture crews can utilize the camps for hiking, camping, fishing, and a variety of other activities. Scouts should consider checking the Weekend Program Schedule below to check out upcoming FREE program opportunities that may be available to weekend campers. Out of Council Unit: All Scouting groups pay the same price whether they're part of Lake Erie Council or any other council, and may take advantage of all the same program offerings. Non-Scouting Group: Non-Scout groups (ie groups not representing registered individuals in the Boy Scouts of America) may want to consider utilizing our camps for their next retreat or camping adventure. Several types of indoor facilities are available as well as rustic campsites. 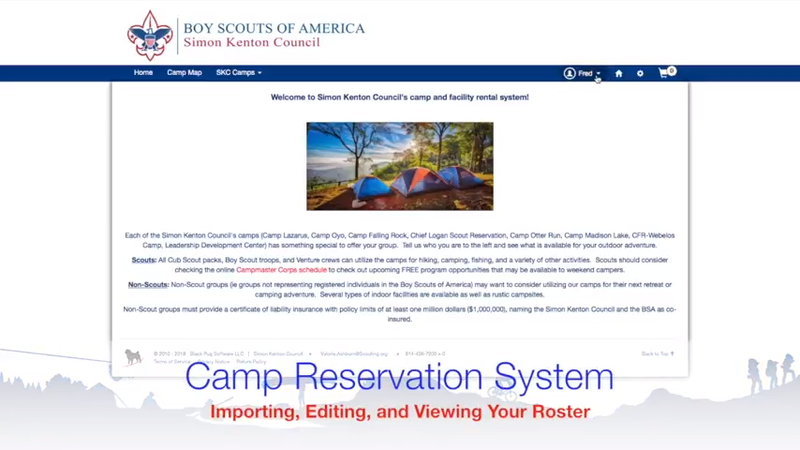 Non-Scout groups must provide a certificate of liability insurance, naming the Lake Erie Council and the BSA as co-insured. Camp can always use your help! Please contact one of our Rangers (Beaumont: Jacob Williams; Firelands: Danny Thomas; Stigwandish: Bear Roloff) for a service project that your Unit could participate in!